This is the third in my series of articles on Gadamer’s Truth and Method, one of the most important works on Hermeneutics ever written. In parts one and two which form Part I of Truth and Method, Gadamer explores the question of truth in relation to art. In Part II his exploration moves from art to the human sciences, and as such Chapter 3 is Gadamer’s history of the study of hermeneutics. Gadamer starts us with the philosophy of Friedrich Schleiermacher (1768 – 1834) and then extensively examines the philosophy of Wilhelm Dilthey (1833 – 1911). 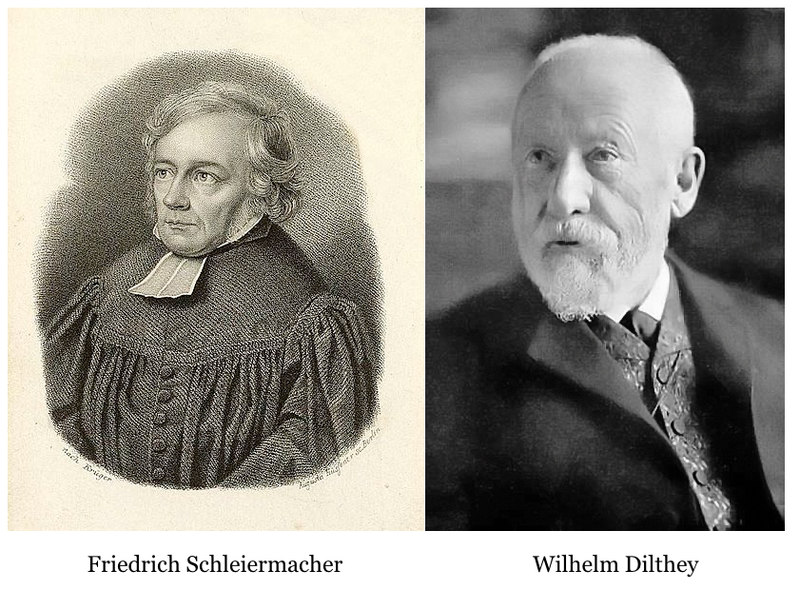 Gadamer credits Schleiermacher as being the first to develop the science of hermeneutics, and we need to understand Schleiermacher in order to understand the problem for hermeneutics in his lifetime. Gadamer compares theological hermeneutics (the study of scripture) with philological hermeneutics (the study of classic texts) and discusses how a newer hermeneutics sought to liberate traditional interpretations from dogmatic biases. This is fascinating and it is here that Gadamer really begins to develop the notion of the hermeneutic circle, whereby the whole text can only be known through the parts, but the parts can only be understood via a comprehension of the whole text. 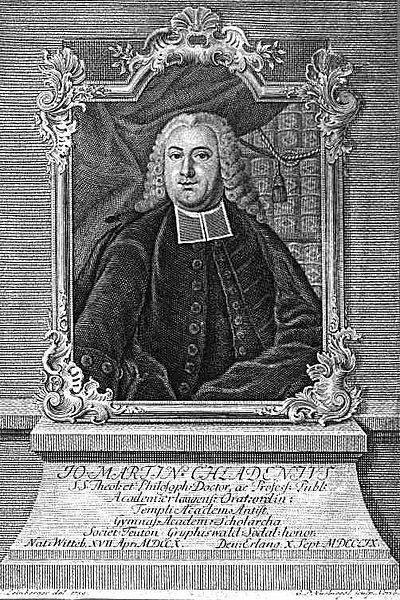 Instead of “the whole” being conceived of as the divine spirit, Dilthey, along with other philosophers before him such as Semler and Ernesti, came to regard the sacred Christian writings as a collection of historical sources, and as such in order to interpret them correctly, some notion of their historical context was required. Having surveyed the birth of a universal hermeneutics via Schleiermacher, Gadamer then moves from the history of hermeneutics to the hermeneutics of history! Here in understanding history the hermeneutical circle has to be applied. Again we can only understand the details in terms of the whole text (or concept), and the whole only through the parts. So what Gadamer calls romantic hermeneutics had a huge influence on the development of historical research. Not only this, but the same problem that Kant faced in determining how nature could be known through mathematics is seen in how the human mind can know history if history is “to be considered no more than a manifestation of mind”. While this argument soon becomes intensely enigmatic, what we can bare in mind is that hermeneutics was beginning to question not only historical consciousness, but also British empiricism, which both Dilthey and Gadamer saw as “dogmatic.” This question then expands further into the question of the concept of life. Ultimately, Gadamer finds both romantic hermeneutics and the developments of Dilthey lacking in their ability to really overcome the challenge of hermeneutics. In Part three Gadamer defines the task of hermeneutics as being the attempt to describe “the experience of the human sciences and the objectivity they are able to achieve.” To do so, Gadamer first describes the transcendental phenomenology of Husserl, including his notion of intentionality, and then closes with a study of Heidegger’s hermeneutical phenomenology. In doing so, Gadamer introduces us to Count Yorck, a philosopher who Gadamer felt able to provide a missing link so to speak between Hegel’s Phenomenology of Mind and Husserl’s Phenomenology of Transcendental Subjectivity. Because Yorck did not complete an entire work, but only left fragmented papers, only now is his contribution to hermeneutics and phenomenology being appreciated. The problem with Husserl, as Gadamer sees is, is that “Husserl lacked any more exact definition of what life is.” While this may seem like an obscure or perhaps indulgent philosophical question, it would be raised again by the great physicists Erwin Schrödinger and the question is still relevant today. Heidegger would develop the ideas of Dilthey and Yorck further, and make his lifetime project the study of being. 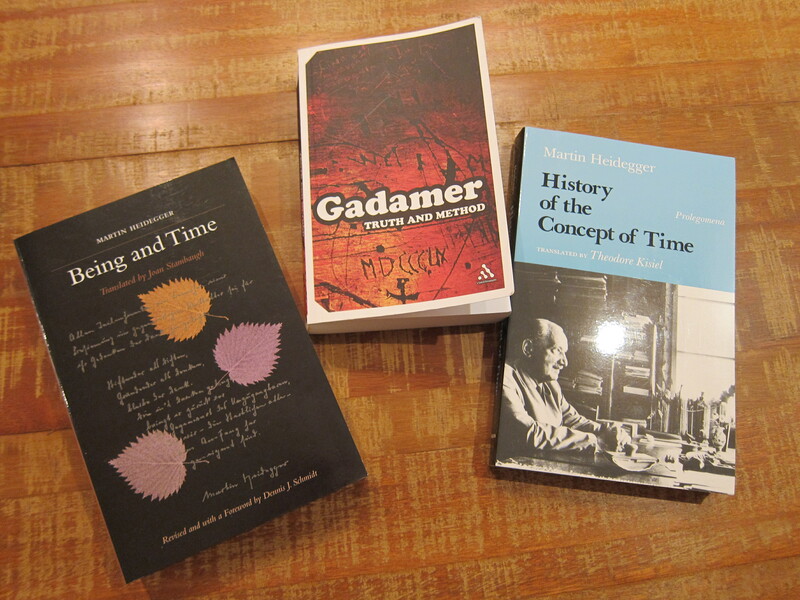 I have to admit that last year I did start to read Heidegger’s Being and Time, but made very little progress. I have since acquired Martin Heidegger, Key Concepts, a collection of essays edited by Bret David but have not had a chance to read it yet. My own teacher of Heidegger, Henri Bortoft, suggested to us that The History of the Concept of Time would be a better place to begin, since these are a series of lectures Heidegger gave while developing his notion of Dasein (Being) and his arguments and trains of thought are more clearly expressed. In Gadamer we have a quite monumental teacher of Heidegger, and therefore the next chapters will be Gadamer on Heidegger. I myself feel that in order to develop my own understanding of phenomenology, I really want to experience the concept of intentionality, since this seems fundamental. I have of course read explanations of what intentionality is, but this is far from comprehension of the idea. A deep understanding of hermeneutics, and therefore meaning, is an exploration in historical consciousness, time consciousness, self-consciousness, inner consciousness. These and many more conceptualisations of consciousness are explored by Gadamer, and for good reason. For within consciousness we discover wholeness, but it is not an object and our notions of consciousness are very likely to be both expanded and turned upside down. As always so many thoughts are triggered when reading Gadamer, and for me I felt a sadness that historically the greatest of minds were all focussed on asking how we can achieve any kind of consensus in our comprehension of reality. But in this modern age, I myself sense so much fragmentation, perhaps created deliberately by our governments and those who seek to divide the people of the world, and rule over them through propaganda and other forms of disorientation, lies and manipulation. We always have the option to develop ourselves, and perhaps in a study of hermeneutics we can become ever more humble, and cultivate new organs of perception and awareness leading us to be ever more humane, empathic and whole. Interesting stuff! thank you for your work. May I invite you to look elsewhere in the Kantian legacy, to Schopenhauer and ‘The world as Will & Representation’ which bridges hermeneutics and nature philosophy. His work was ignored by people such as Dilthey and Heidegger because it has no recourse to spiritual notions to explain the world of experience. I would arge that the implicit theology in the work of these two writers needs deconstructing before it can be understood; both writers came from theological seminaries. Schopenhauer’s critique of ‘objectivity’ (cf WWR 2, 4) dovetails into Husserl’s phenomenology. His thinking on time is important. Time, along with space and causality are all conceptualised as properties of the phenomenon. The best introduction to Schopenhauer’s thought is probably ‘The Philosophy of Schopenhauer’ by Bryan Magee (Oxford, 1983). Hi Tim many thanks for your comment. My route in to Gadamer is via the work of Henri Bortoft. He definitely did not go into any transcendental spirituality when teaching either Gadamer or Heidegger. I don’t know if you saw my first article on Gadamer, but this is my first time on reading him. It is hard work and I am not too sure if what I write here is too confident, but I do try and be explicit when saying that it is wonderful to read intellectually, but a whole different ball game trying to get into the experiencing of the many new concepts which come at you in each chapter. I have a list of books to read, and this will certainly be going on there so many thanks for taking time to comment and to help me in my own studies. Martin Drenthen’s work on Environmental Hermeneutics may interest you too. 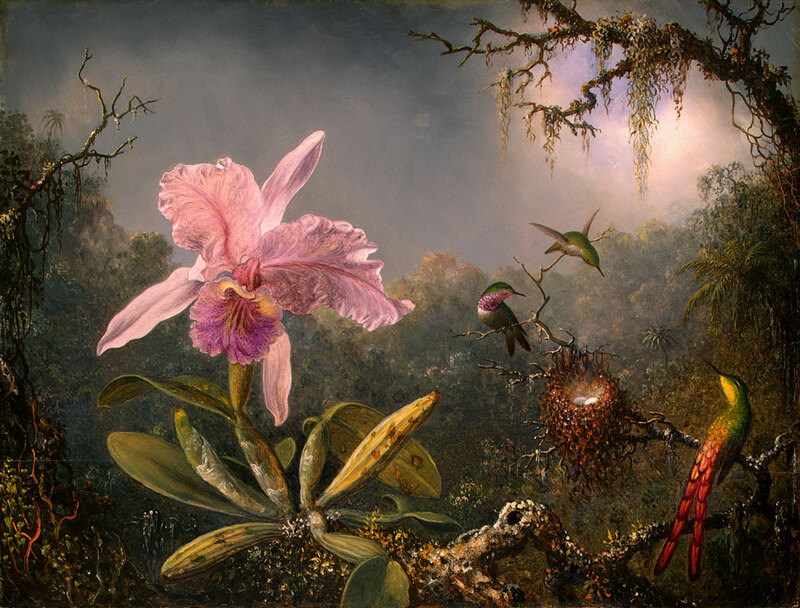 Hi Thanks – I have just had a look at his work New Visions of Nature: Complexity and Authenticity but it is outside of my price range right now. It looks amazing. I have recently started reading The Natural City edited by Stefanovic and Scharper which is a phenomenological look at cities and nature. I see Drenthen’s other book is scheduled for 2014 so it’s on my wish list. Hi – no – far from it. In fact my MSc in Holistic Science is looking at the intersection of complex systems, hermeneutics and phenomenology. There is a great article in Holistic Science Journal by Graham Jones on this approach to understanding the human immune system. Many thanks again for the link.